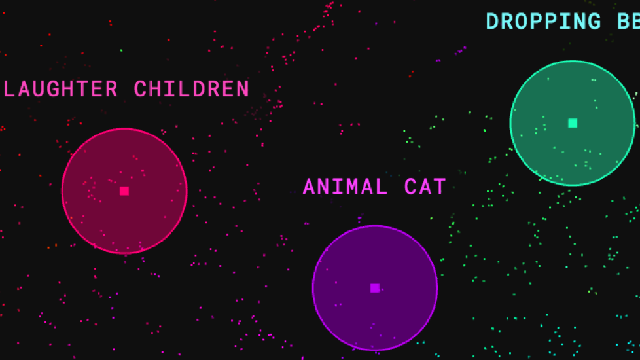 Experiments with Google is a showcase of the world's most creative coding experiments. This showcase includes an AI collection where a bunch of weird and fun experiments involving machine learning can be found. Below is a list of our favorite Google AI Experiments, in no particular order. Let us know what your favorites are and what ways you can think of using these experiments in the comments below this article. This experiment is as simple as they get. It uses your webcam and internet browser to teach a program to react to certain gestures. Want the program to show you a cat gif when you wave your hand? You can! Want the program to say "sorry master" when you make an angry face? You can! There are surely enough possibilities to keep anyone engaged for hours. The main focus of this experiment is, of course, to teach users the basics of how machine learning works. This makes it a very unique and simple experiment to share with children when they start learning about programming. It is built using a library called tensorflow.js, which is available for download and can easily be dissected by any web developer who wants to learn more. A brilliant example of how you can use machine learning in fun ways! This experiment allows the user to draw any type of shape and the program then tries to work out what is being drawn. 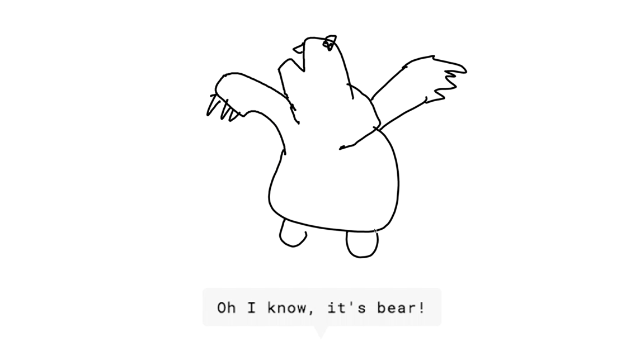 If the user tries to trick the program by drawing something in an odd way it not only becomes a fun game, but the program then learns more about how humans draw objects. So the more it is played with the more it learns! This experiment uses the same technology used in handwriting recognition software and is run directly in your internet browser. Unfortunately, no code is available to download and tinker with. Coding meets music. This experiment uses machine learning to organize sounds based on nothing other than what they sound like. Using a technique called t-SNE sounds are organized and then displayed in "neighborhoods" of similar sounds. The user is then allowed to scroll through and build beats with the displayed sounds. The available sounds range from every-day objects, like a plunger or paper cutter, to animals sounds, like a walrus or buffalo, and then, of course, also musical instruments like drums and bells. The possibilities are endless when building beats with combinations of these. Whether you're a coding enthusiast, musician or simply a curious individual, you'll have hours of fun playing around with this experiment. Another example of how machine learning code can be used in very simple ways in order to solve problems and improve lives. This experiment lets you point your phone camera or webcam at an object and then hear how to say it in different languages. 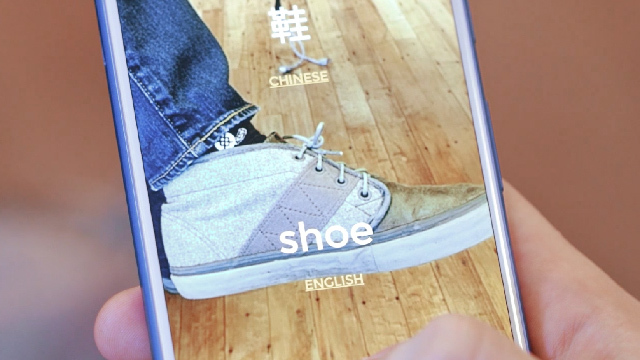 It uses two of Google's existing APIs, Cloud Vision and Translate API. Basically, the image your camera captures is sent to the Cloud Vision API to be identified. A list of labels is returned with "confidence scores" for each label. The label with the highest score is sent to the Translate API to be translated. Genius! The code is available for download and I'm sure our readers can think of hundreds of ways to use this experiment. Machines learning how humans move - This experiment uses your webcam to analyze your body's position in real-time and then matches it with an image of someone in the same position, continuously. The flipbook-like display of images can then be recorded and saved as a gif. A very neat and unique way to create a gif of a series of human gestures. Also, a great way to explore a database of over 80,000 pictures of different human poses. This experiment is made possible by PoseNet, Google's state-of-the-art pose estimation model. PoseNet provides very accurate pose data from images even if those images are of low quality. Again there are endless possibilities to how this technology can and will be used in the future. We're certainly very excited! Let us know in the comments below what your favorite Google AI Experiments are and what ways you can think of using them.